The unique compound, once part of the Bishop estate, sits on nearly 22 acres of landscaped privacy near the heart of Lenox. 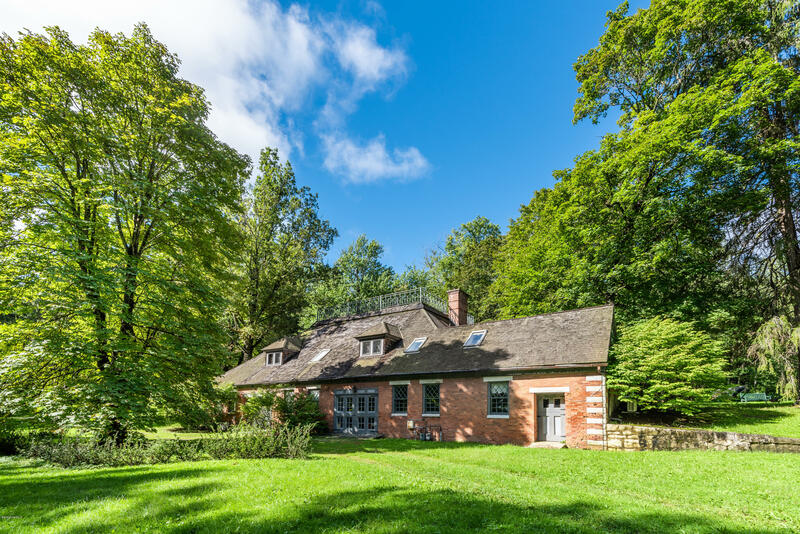 With so much of its original character intact, the carriage house boasts soaring post and beam ceilings, 5 bedrooms -some of which still hold the original stable walls, great entertaining spaces and lots of features and charm of yesteryear. The recently updated estate cottage offers three bedrooms, living, dining and kitchen, the perfect retreat for Tanglewood enthusiasts. The grounds also afford a two-story yoga/art studio with spiral stair that takes in the wonderful views of the many amenities on the property which include a tennis court, half basketball court and a beautiful lily pond. All this and still only a walk or a bike ride to the center of Lenox.